So this guy walks into a bar with a dead weasel. Bartender says, "Why are you carrying a dead weasel?" The guy punches him right in the face. Bartender says, "What the hell was that for?" and the guy says, "It's Martes americana, not Mustela frenata." Sorry, I'm hosting the annual awards dinner for the International Commission on Zoological Nomenclature. Probably should have saved that version of it for them. It wasn't a bar, but a guy did walk into an apartment in Washington state on June 8 carrying an animal that appeared to the victim (evidently a non-zoologist) to be a dead weasel. "Why are you carrying a weasel?" the victim asked. 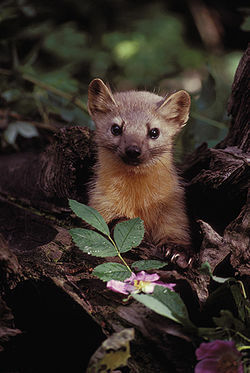 "It's not a weasel, it's a marten," the guy said, then punched him in the nose and fled. According to police, the assailant was looking for his girlfriend and had gone to her former boyfriend's apartment for that purpose, although the victim was a guest, not the former boyfriend. The suspect said he had found the animal's carcass nearby but did not explain why he had it with him. Since he left this unpleasant gift behind at the scene, I'm guessing that's why. If it turns out the assailant was a zoologist, though, then the classification mistake might have been what sent him over the edge. 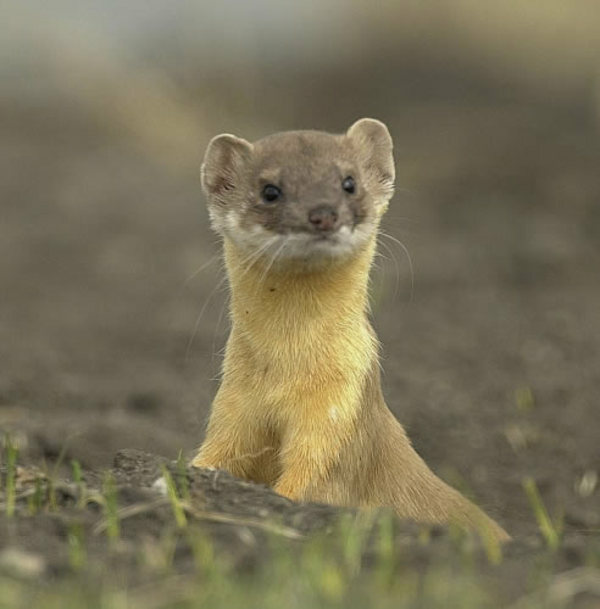 Weasels and martens are related, but not really all that closely (weasels and ferrets are closer cousins), though depending on the particular species involved, the mistake might or might not have been understandable. Whether it justified violence is another question. Frankly, the whole subfamily Mustilinae is kind of nasty, except that it also includes the honey badger (Mellivora capensis), which is really pretty badass. 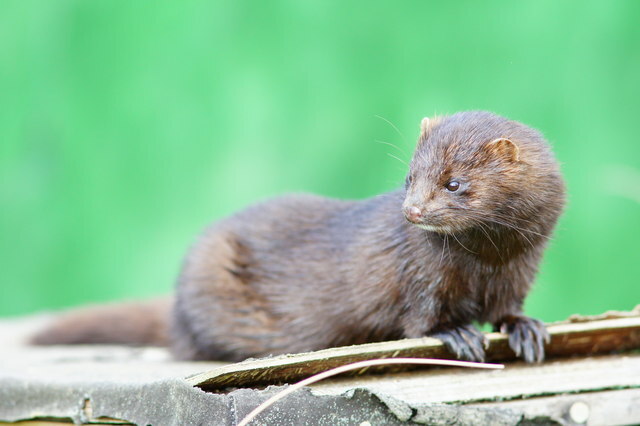 Update: According to a report today (June 10), the local police chief has stated that the animal was not a weasel or a marten, but in fact was a mink (Neovison vison). The mink is yet another member of the Mustilinae subfamily, itself part of the Mustelidae family, which is apparently commonly called "the weasel family" even though it contains beasts from the mouse-sized "least weasel" up to the much larger Burmese ferret-badger and the six-foot-long South American giant otter, for Christ's sake. But within the subfamily, at least, a lot of these little bastards look alike. The chief apparently claims that martens haven't been seen in that area for 50 years, but unless he's also a zoologist I think the jury is still out for now. A comment on the Seattle Times' website suggests that this might actually have been a chupacabra, but I think we just don't know yet.